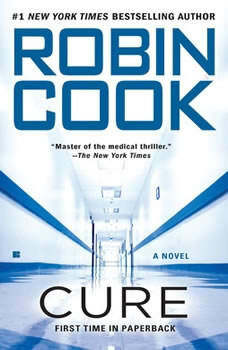 The New York Times-bestselling author and master of the medical thriller returns with another heart-pounding story of medical intrigue. With her young son's potentially fatal neuroblastoma in complete remission, New York City medical examiner Laurie Montgomery returns to work, only to face the case of her career. The investigation into the death of CIA agent Kevin Markham is a professional challenge-and has Laurie's colleagues wondering if she still has what it takes after so much time away. Markham's autopsy results are inconclusive, and though it appears he's been poisoned, toxicology fails to corroborate Laurie's suspicions. While her coworkers doubt her assassination theory, her determination wins over her husband, fellow medical examiner Jack Stapleton, and together they discover associations to a large pharmaceutical company and several biomedical start-ups dealing with stem-cell research. Laurie and Jack race to connect the dots before they are consumed in a dangerous game of biotech espionage. Trying to keep track of the names of the multitudes of Japanese characters in this story was extremely difficult. I kept having to back up and re-listen to try to keep them straight. Not Cook's best effort.